HomePhD Position: Inland wetlands – carbon sinks or carbon sources? PhD Position: Inland wetlands – carbon sinks or carbon sources? Background: Inland wetlands are the earth’s largest terrestrial carbon store, but they are also the world’s largest source of methane – a potent greenhouse gas. Dynamic models based on case studies from the northern hemisphere suggest that methane emissions become irrelevant over time frames of 100+ years so long as wetlands are sequestering carbon, meaning that wetlands are substantial global carbon sinks. These models have not yet been tested for Australia’s temperate wetlands, which are rather unique in terms of their ephemeral nature. As Australia seeks to capitalise on new biosequestration opportunities, there is great interest in the restoration of inland wetlands, which have undergone major loss since European settlement. It is therefore necessary to develop carbon budgets to determine if Australia’s inland wetlands are net radiative sinks when balancing carbon sequestration and methane emissions. Project: This PhD project will help address the question: Are Australia’s inland wetlands carbon sinks or carbon sources? The project will help achieve this by developing greenhouse gas budgets for Australian wetlands within the districts of the two industry partners, Wimmera and North Central Catchments (WCMA and NCCMA). The project will use state-of-the-art technologies for measuring greenhouse gas fluxes and will capitalise on data already being gathered on carbon stocks and accumulation rates Deakin. Overall, this will help put Australia in the position of being able to conclude whether wetlands should be created and restored to provide carbon sequestration benefits to help mitigate Australia’s greenhouse gas footprint. Research environment: Deakin ranks in the top 3% of universities globally and is Australia’s eighth largest university. 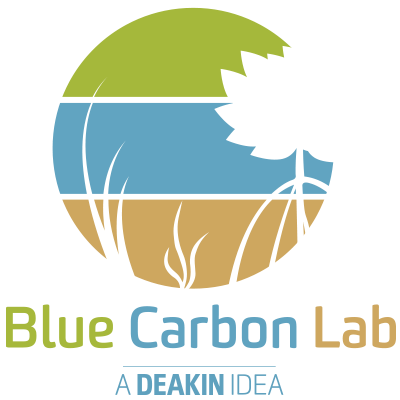 Deakin’s Blue Carbon Lab (BCL, bluecarbonlab.org) is emerging as a leading group in global efforts to establish science that underpins practical efforts to offset carbon emissions with blue carbon ecosystems, which includes wetlands. BCL’s members include specialists in ecology, spatial analysis, microbiology, soil science, chemistry, and modelling. The group’s leader – Dr Peter Macreadie – serves on the Victorian Coastal Council Science Panel and the Australian Government’s National Greenhouse Gas Wetland Inventory Committee. The project will provide an opportunity for a PhD student to receive valuable research training from leading scientists within Deakin, SCU, and from resource managers at WCMA and NCCMA. Supervisory team: The supervisory team consists of Dr Peter Macreadie (Deakin University, Head of Blue Carbon Lab) as the Principal Supervisor, Rohan Hogan (NCCMA) and Tony Baker (WCMA) as industry supervisors, and Prof. Scott Johnston (Southern Cross University) and Dr Damien Maher (Southern Cross University) as associate supervisors. Closing date: 10 June 2016. Citizenship: This position is open to domestic and international applicants. A first class Honours or Masters degree in ecology, geology, geochemistry, spatial analysis, modelling, microbiology or related disciplines. We are particularly interested in candidates with experience in measuring soil flux. Experience in collecting field data and capacity to undertake independent fieldwork. Capacity to implement research in collaboration with a range of stakeholders (government agencies, private landholders, conservation groups etc.). To apply: Send a cover letter and your CV to peter.macreadie@deakin.edu.au. In your cover letter, please include: 1) a summary of your research experience, 2) your reasons for wanting to do a PhD, 3) information on how your skills will be relevant to the project, and 4) a statement about your undergraduate track record (i.e. your grade point average).